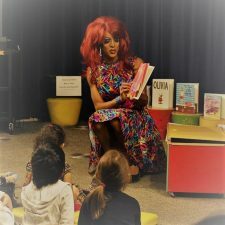 Georgia MassResistance stops ‘Drag Queen Story Hour’ scheduled at Atlanta library! (MassResistance) Our Georgia MassResistance chapter has stopped a “Drag Queen Story Hour” in one of the most pro-gay areas of the South. And more are being targeted as outraged parents contact us for help. While the pro-family establishment works to “inform” the public to write letters and politely complain, MassResistance pulls no punches when it comes to stopping these horrible attacks on children.